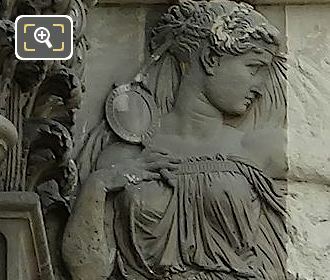 We were again at the Musee du Louvre in the 1st Arrondissement of Paris, when we took these high definition photos showing a relief sculpture called La Prudence et la Force, which was produced by Joseph Felon. 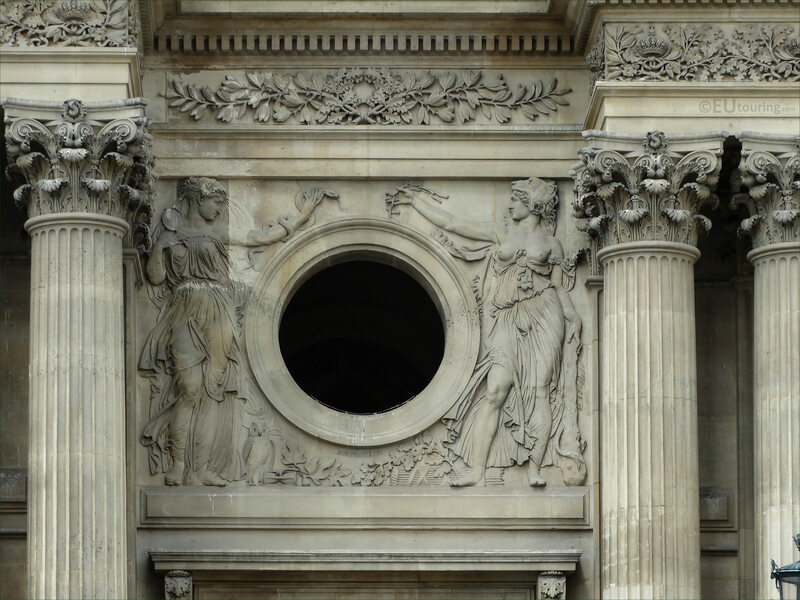 This first HD photo shows a porthole style window with a bas relief, or low relief sculpture surrounding it, which was put in position during the additional embellishments to the former Palais du Louvre in the 1850s. 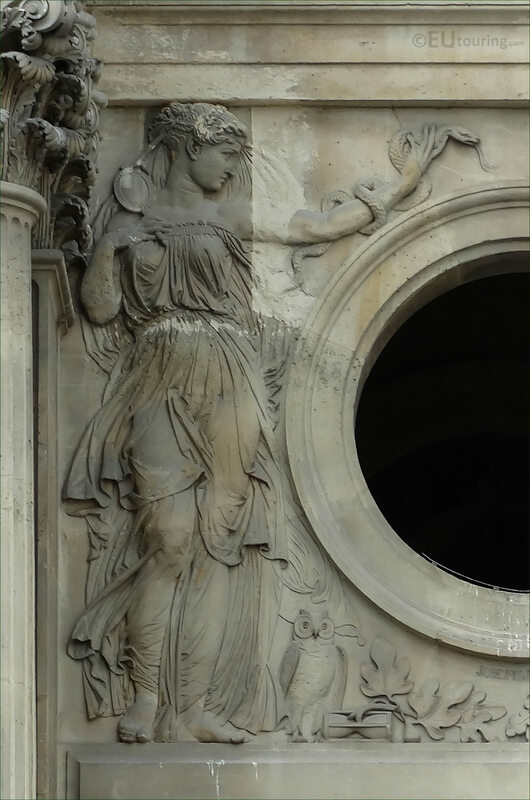 Here you can see the left hand side part of the sculpture called La Prudence et la Force, that is sometimes referred to as Prudence and Fortitude, which was sculpted by Joseph Felon for the Pavillon Richelieu wing on The Louvre. 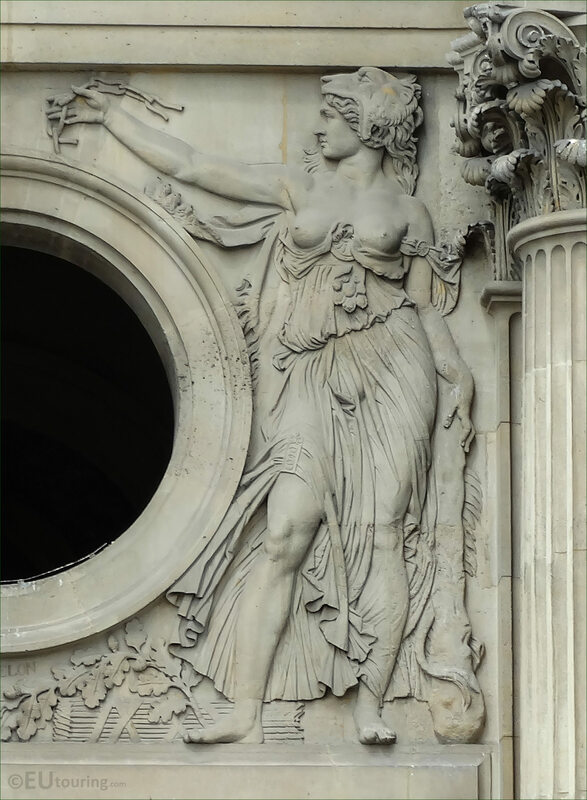 Now Joseph Felon was born in Bordeaux in 1818 and studying to become a painter and sculptor, he started to present works at the Salons for French artists, which led to many public commissions for tourist attractions like the Eglise Saint Etienne du Mont, Chateau de Versailles, the former Palais du Trocadero and this sculpture along with others for the Musee du Louvre. 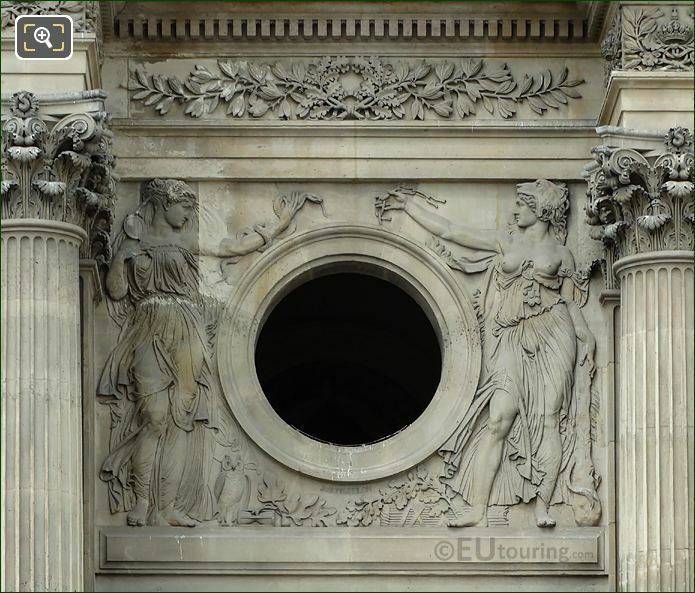 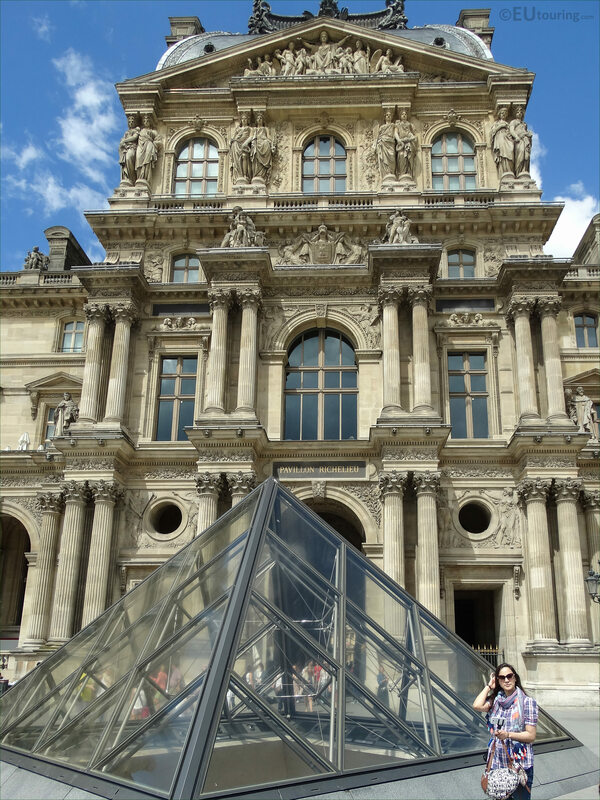 However, in this image you can see the entire pavilion and when you are looking at this facade of the Louvre Museum from the Courtyard called the Cour Napoleon, you will see the bas relief sculpture of La Prudence et la Force surrounding the right hand side porthole window on the ground floor level of the Pavillon Richelieu.